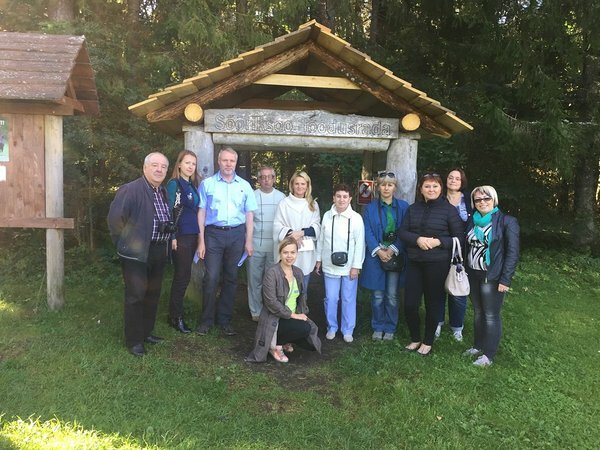 During12-16 September group of Russian specialists involved with people with disabilities accessibility issues visit Estonia and Sweden. The group consist of NGOs, museums and municipality specialists form Pskov, Petrozavodsk and Arkhangelsk. Field trip first days we visited Estonian National museum, met Estonian NGO people working with people with disabilities and also walked in Sõõriksoo nature trail, designed especially for people with wheelchairs. The field trip is the part of European Commission funded project " Friendly Cities: Accessible Natural and Cultural Urban Environment for People with Disabilities"
The project works to assess the accessibility of natural and cultural facilities (mainly public parks and museums) and services for the needs of people with disabilities. We also develop and implement educational activities and technical solutions for the adaptation of the facilities' infrastructure and services to the needs of people with disabilities.